Check out Dakota Digital's new VLC Clocks - made to complement their VHX counterparts! 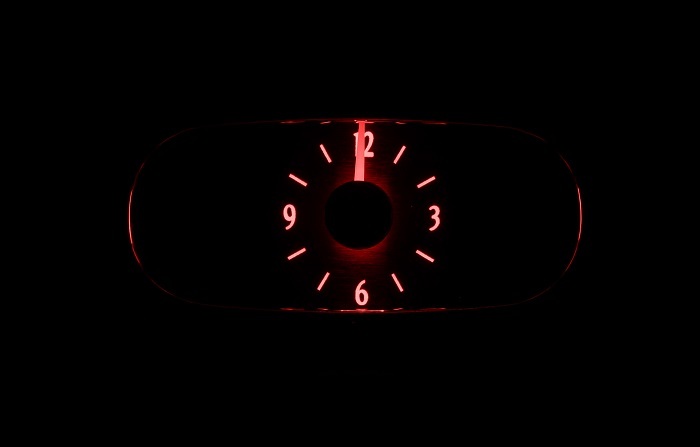 Traditional analog style clock face, with LED backlighting and lighted needles to match a VHX instrument system. The VLC clocks will ONLY work alongside a VHX system. 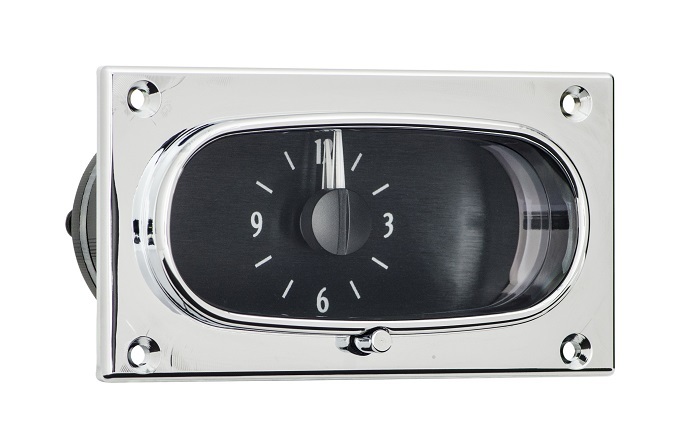 Do you have the VHX-58C-IMP gauge system (sold separately in our store)? 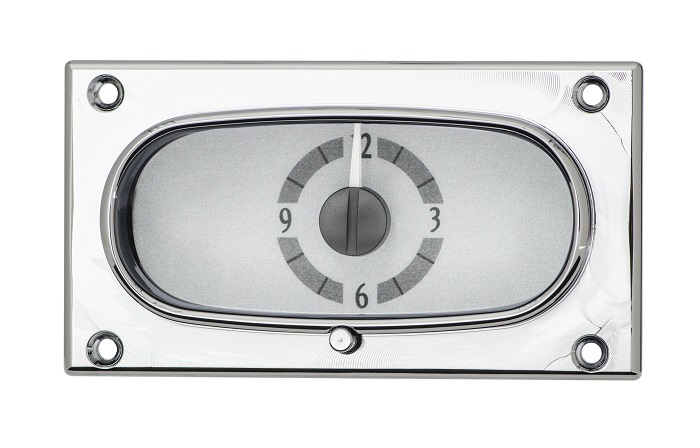 The VLC clocks are not able to stand alone nor work with Dakota Digital's VFD3 digital systems. 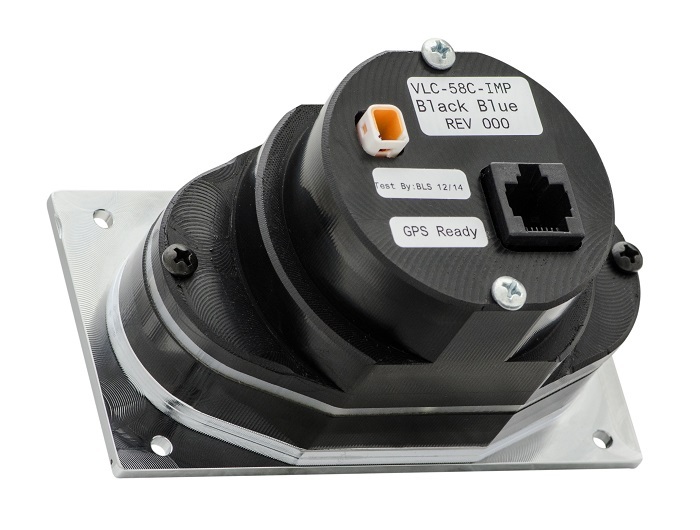 They simply plug into one of the CAT-5 network jacks on the VHX controller. The new VLC’s will only display the current time. 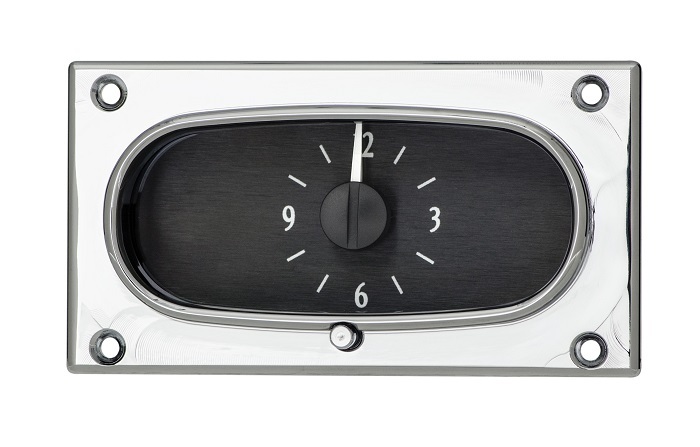 Cannot be used as a standalone clock gauge. The time is set through the VHX system. Upon initial power-up, the clock needles quickly advance to sync with the VHX built-in clock. 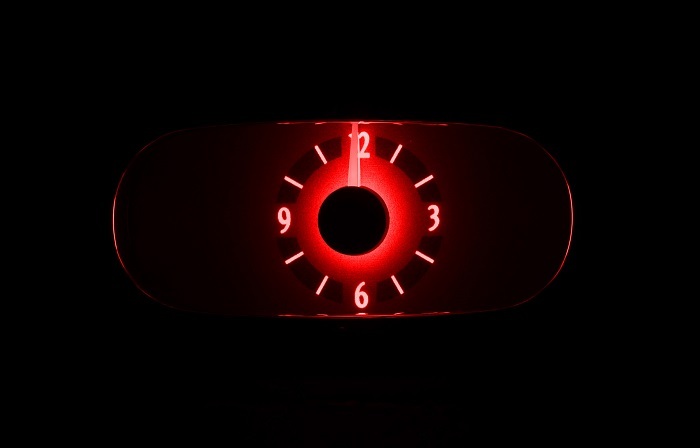 The VLC clocks contain a separate constant power input harness on the backside, this will allow the clock to continue running while the key is off. 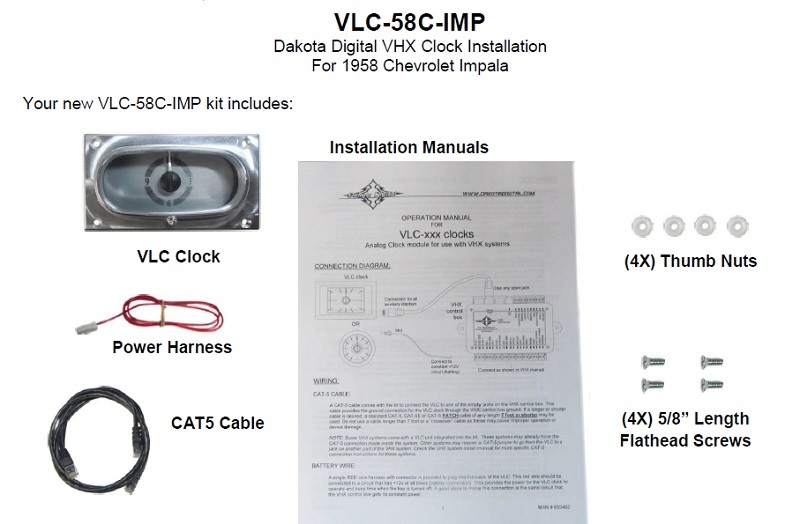 If this is not connected, the clock will just re-sync with the VHX system every time the key is cycled.